The big folk rock sounds of The Western Den are on full display on full length debut A Light Left On. The Boston duo’s songwriting chops have tremendous upside and we can’t wait to see what they have in store for the future. They are coming to The Red Room, one of Chicago’s many DIY spaces. DM through facebook for address. A garage rock power trio with colossal fuzzy backbone, Calva Louise is straight from Manchester for our pop punk aural pleasure. Rhinoceros is their first full length and it sure shows off Jess Allanic’s vocal prowess. It doesn’t seem they are making it to the States anytime soon. The spirit of Nashville is captured in the spacy folk rock of Blank Range. In Unison captures the haunting harmonies and country tinged qualities of this talented quartet. Lou Doillon is a French/British musician, actress, model and artist is a quadruple threat whose beauty is only overshadowed by her talent. Continuing her folk tinged pop style, Soliloquy balances intimate moments with large scale pop brilliance. It seems she may be swinging through the U.S. this summer. Be on the lookout. Founding member of Japanese experimental giants Ghost, Masaki Batoh delivers folky odysseys with his latest effort Nowhere. A heartfelt record that gets deeper with each successive listen. 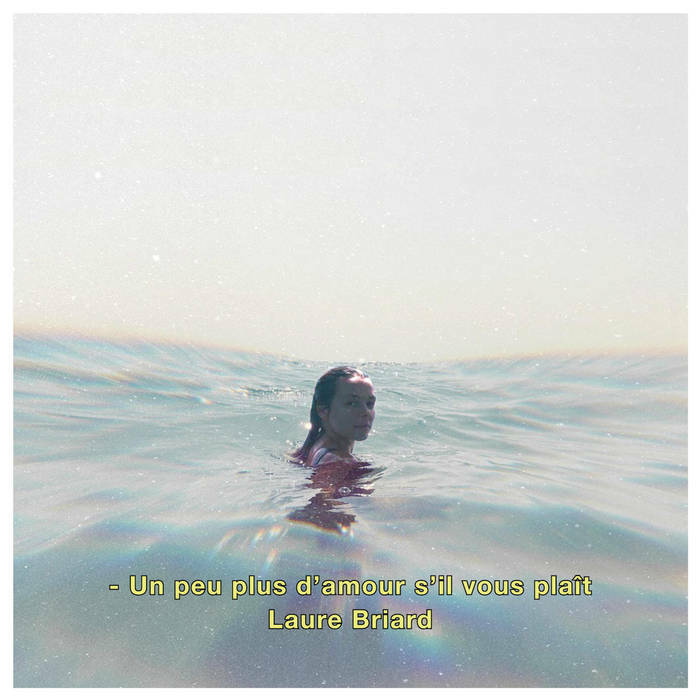 A loungy feeling effort from French artist Laure Briard comes on the heels of her Portuguese language EP Coração Louco. Pop single “Kooky Sun” breathes fresh air into this genre jumping record that was written with a quite a few collaborators. No stateside plans are on the horizon for this talented French musician. Self proclaimed jazz metal band Mörglbl share their latest creation The Story Of Scott Rötti. French progressive rock at it’s finest. Yamila is a Spanish composer, cellist, producer, and singer who produces provocative compositions that speak to the gut. Iras Fajro is her debut full length and if it doesn’t catch ears of all the experimental musicians out there, they just aren’t listening. She has no tour dates as of now. This Athens, GA quartet delivers solid indie rock grooves on their sophomore LP The Path to Fast Oblivion. Deep State seems like they would fit right in if they made their way to our windy metropolis. However, they have no plans to leave GA on the horizon. Mixing the electronic elements of now with funky eighties pop beats, English producer and vocalist Finlay Shakespeare makes Domestic Economy one of our favorite brain teasers so far this year. Sadly there are not tour plans as of now. The debut full length from this L.A. based singer/songwriter is full of pop potential. His guitar based tunes fill Say I’m Pretty with anthemic glory. Kick back with a beer and pretend you’re in sunny southern cali on a chilly February evening. He has no tour dates planned. Her debut Return of the Astro-Goth caught the attention of hip hop-heads all over the world and her return Anima Mysterium comes six year later. It’s just as awesome as her previous work. The South African MC has outdone herself. So far it’s our pick for the best hip-hop record of the year. No tour plans for her at the moment. The pianist and percussionist work together again to produce a magic latin tinged jazz masterclass. Duologue is at once joyous and groovy. And a cover of “Thriller” to boot! Alfredo Rodriguez & Pedro Martinez are coming to the Symphony Center on March 8th in support of Paquito D’Rivera Quintet. Tix are $28 - 89. Astronoid is coming to The Turner Hall Ballroom at The Pabst Theatre in Milwaukee on February 21st, opening for Between The Buried And Me. Tix are $25. Brood are visiting The Metro on April 10th. Tix are $25 ($30 day of). She is bringing her talents to Schubas on March 11th. Tix are $15. She was just in Chicago at Lincoln Hall last Friday. We expect a Lolla slot given this records excellence. Thalia Hall is hosting a two night run on February 16th and 17th. 16th is Sold Out. Tix for 17th are $26.